Brig. Gen. Noam Sha’ar reveals that Iran tried to tamper with Homefront Command’s early-warning system, with potential catastrophic results. Iran tried to hack Israel’s missile-alert system more than a year ago, Israel Defense Forces’ Cyber Defense Division Commander Noam Sha’ar told Israel Hayom. In an interview with Israel Hayom’s weekend magazine, Sha’ar says the cyber attack was successfully repelled by his unit, avoiding potentially catastrophic results. The full interview will be published on Friday. The Homefront Command’s missile-alert system is one of the most sensitive parts of Israel’s civilian and military infrastructure. Anyone who gains control over the system can set off sirens at will and even disable the highly important features that provide early warning on incoming rockets and missiles. The attack was detected due to the constant monitoring of an Iranian cyber group, one of dozens run by the Iranian Revolutionary Guard Corps with a budget of more than $1 billion. It turned out that the group tried to hack several systems in Israel apart from the missile-alert system. According to Sha’ar, Iran is constantly trying to compromise Israel’s sensitive infrastructure, both in and outside the military. He notes that his unit has managed to foil about 130 such attacks, most of which originated with Iranian entities. 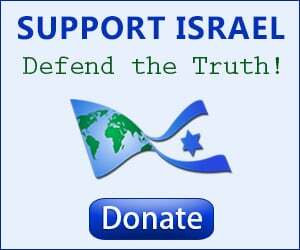 “There is a nonstop Iranian effort to engage in cyber warfare against Israel,” he said in the interview. “This activity is directed mostly at the IDF’s soft spots, and we are using a variety of means to counter this,” he said. Sha’ar said his unit managed to thwart a similar attack from terrorist group Hamas, which tried to hack Israel’s intelligence apparatus in Judea and Samaria. According to Sha’ar, had Hamas been successful, its hackers would have been able to undermine crucial intelligence-gathering operations and compromise counter-terrorism efforts, as well as use the IDF’s own observation posts to monitor Israeli activity. 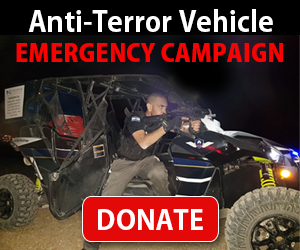 He says that the number of such attacks will likely grow exponentially in the coming year, in part because of the increasing resources states and organizations allocate for such purposes, but also because the IDF is increasingly relying on sophisticated technology. Sha’ar, who began his military career in the IDF’s elite signal-intelligence unit, Unit 8200, concedes that there is no such thing as a hacker-proof system. “In my old unit, the underlying assumption was that everything is hackable; that is why we have to monitor our most important assets as closely as possible,” he added.